Telefonica, serving around 346 million accesses in 21 countries, announced that Analysys Mason, the global consultancy and research firm, has released a white paper commissioned by Telefónica that evaluates progress in implementing its Telco Cloud program, which includes UNICA, the foundational architecture designed to support future networks based on network function virtualisation and software-defined networking (NFV/SDN) technologies. Telefonica noted that the paper covers its progress with the telco cloud initiative from its launch as an innovation project through to its current status with live deployments in Germany, Argentina, Colombia and Peru. 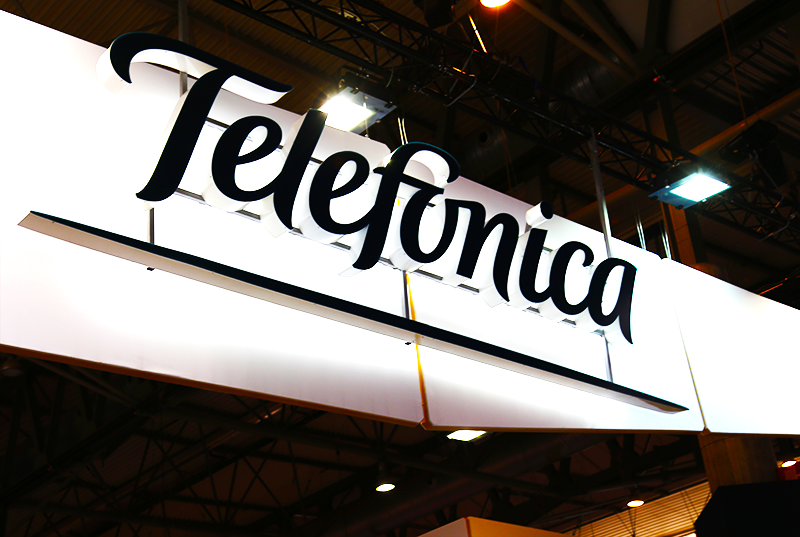 Telefonica launched its UNICA program around four years ago. The Analysys Mason study identifies Telefónica as amongst the first operator to see the potential of incorporating cloud technologies, general-purpose hardware and a programmable network control plane into its network architecture. Telefónica envisages eventually implementing a network that is fully virtualised and programmable that will enable it to efficiently and flexibly align capacity with demand, reduce network complexity and speed new services delivery. The Analysys Mason study finds that Telefonica's UNICA platform features a well-founded architecture that does not compromise on the original ETSI NFV principles, specifically: independence from vendor-lock-in at all layers of the architecture; the use of commodity and, where possible, open-source, cloud technologies; and encouraging market innovation through sponsorship of open-source communities. 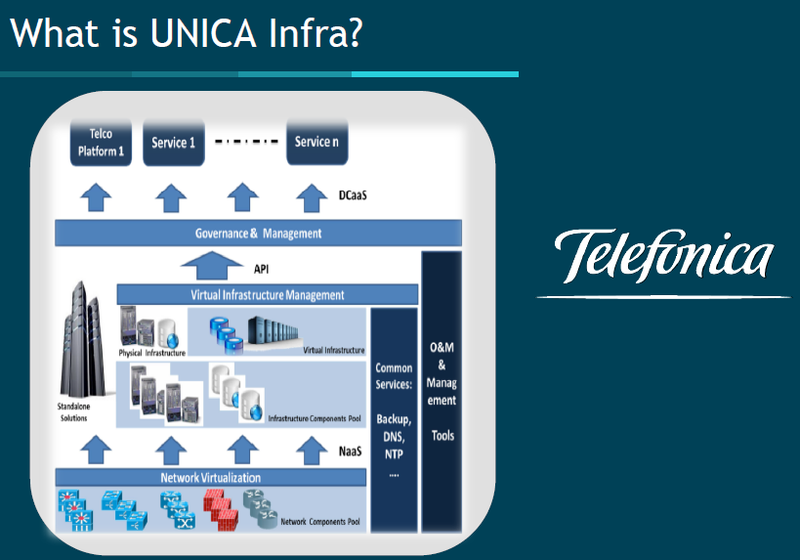 However, the research firm concludes that Telefónica faces two key challenges in implementing a program as large and advanced as UNICA - technology challenges associated with market immaturity and challenges around the organisational, cultural and process transformations needed to implement UNICA at scale. To address these challenges, Analysys Mason recommends that Telefónica increase dialogue with business stakeholders to demonstrate the potential of UNICA and that it prioritise internal operational and organisational transformations to prepare its operating businesses from a technology perspective to effectively use the UNICA infrastructure. 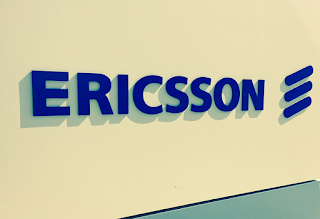 Ericsson announced it has been selected by fourth-largest Spanish operator MÁSMÓVIL to provide an array of solutions and services, including a core network evolution based on network functions virtualisation (NFV), enterprise billing, managed and systems support services, and the deployment, installation and maintenance of FTTH infrastructure. The agreement is intended to result in MÁSMÓVIL's subscribers gaining access to a consolidated network delivering improved quality and reliability and new services such as Voice over LTE, WiFi calling and fixed VoIP, for residential and enterprise markets. 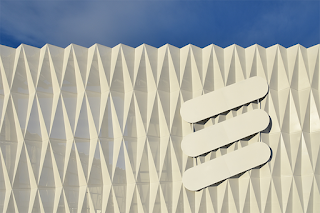 The solutions to be supplied by Ericsson include, for the core network evolution, subscriber data management (SDM), policy control and charging rules function, a complete virtual IP Multimedia Subsystem (IMS) to support mobile, fixed and enterprise communication services, WiFi mobility gateway for WiFi calling, and Diameter signalling controller. Additionally, MÁSMÓVIL's enterprise billing will be enhanced via the provision of a new, unified B2B billing system. 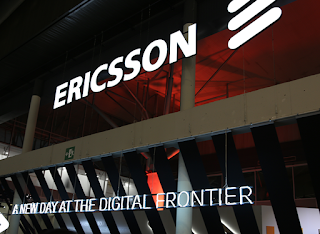 For the FTTH network deployment, Ericsson will provide installation and maintenance services, with the enhanced network designed to enable MÁSMÓVIL to expand its offering of convergent fixed-mobile solutions in the Spanish market. 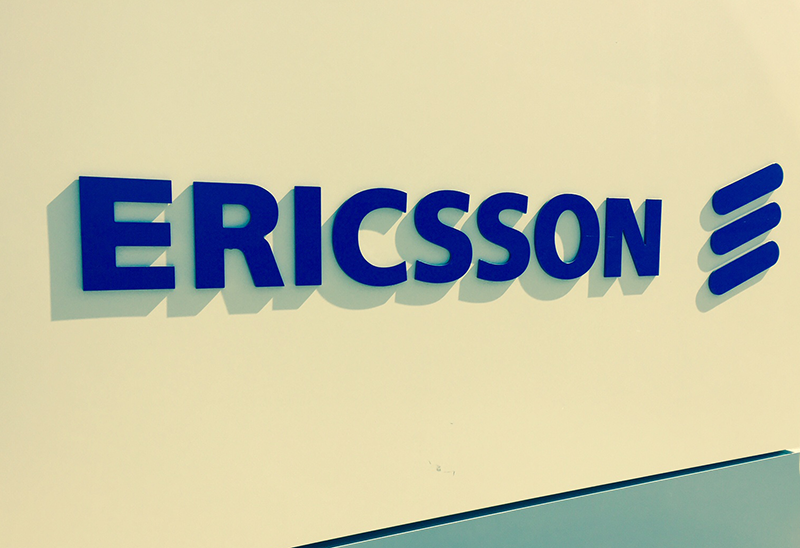 In addition, as part of the agreement MÁSMÓVIL has extended its existing managed and systems support services contracts with Ericsson to the end of 2019, with the option of extending the scope to include its fixed network. MÁSMÓVIL Group offers fixed and mobile (3G/4G) telephony broadband Internet through brands Yoigo, Pepephone, MÁSMÓVIL and Llamaya. As of the end of 2016 it served approximately 4.4 million customers across Spain. The company's fixed network reaches around 18 million premises via ADSL and 7 million with fibre. Telefónica and Vodafone announced that they have entered into a commercial agreement providing for wholesale access to Telefonica's fibre optic network. Through the new agreement, Vodafone will immediately have access Telefonica's fibre infrastructure, both in certain municipalities that are subject to regulation and in other municipalities where Telefónica has been freed of wholesale fibre access obligations. The agreement allows Vodafone to utilise the Telefónica fibre to supplement its network coverage and significantly extend the service area where it can offer high speed broadband and TV services. 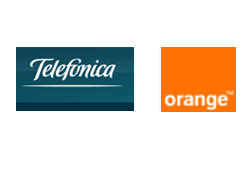 The agreement is based on purchase commitments over a five year period and is intended to leverage the synergies that can be generated through Vodafone accessing Telefónica's network, which will increase network utilisation and enhance the efficiency of deployments and optimise investment for both parties. The agreement is also expected to provide consumers with improved coverage and greater choice in terms of services and next generation networks and to expand the availability of services as part of the digital economy. Telefónica stated that the new agreement represents a key development in its wholesale business strategy through enabling the company to take a more active role in offering wholesale services in a dynamic and evolving market. It also provides more options both in terms of the provision of services by third party operators and the development of co-investment models and the delivery of its own services. Vodafone and Huawei announced that at Mobile World Congress they demonstrated an ultra-fast fibre broadband connection delivering a download speed of nearly 10 Gbit/s designed to support services such as ultra HD (UHD) 8K video, big data, virtual reality (VR) and 3D augmented reality (AR), remote healthcare and online gaming. At MWC, Vodafone demonstrated simultaneous support for viewing of UHD 4K video and data download at gigabit speeds. Vodafone Spain announced in January that it planned to upgrade its hybrid fibre-coaxial (HFC) network to enable symmetrical data rates of more than 1 Gbit/s upstream and downstream. In addition, the operator noted that in addition to upgrading its existing network to DOCSIS 3.1, it planned to implement a new distributed architecture involving extending fibre closer to optical sites to deliver higher bandwidth for end users. For the project, Vodafone Spain has adopted Huawei's DOCSIS 3.1-based distributed converged cable access platform (D-CCAP) solution as part of a DOCSIS 3.1 network deployment designed to offer advantages including: increased bandwidth per user by expanding the spectrum range and improving modulation efficiency; improved operation and enhanced network quality; greater flexibility and scalability, with the ability to upgrade the HFC network or deploy a full FTTH network. 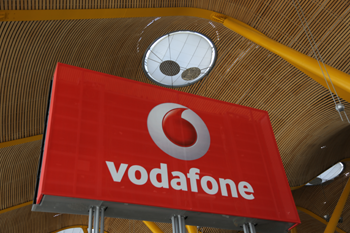 Vodafone noted that work to modernise the network has commenced in the main cities in Spain, and will extend to the whole country over the forthcoming months. In mid-2016, Huawei and Vodafone Spain announced the launch of Madrid Tech City, a project intended to position Madrid as a leading global technology city. The companies noted that the initiative had already provided access to 4G+ mobile network with peak data rates of 600 Mbit/s. Vodafone and Huawei also planned to implement NB-IoT (narrowband - Internet of Things) technology to connect devices and sensors and enable the launch of new services such as: intelligent parking. Telefónica has completed field testing of CAT-M1 or LTE-M for IoT over its network in Spain in partnership with Ericsson and Sierra Wireless. The testing showed successful interoperability Sierra Wireless modem, which builds Cat-M1 chipsets in and Ericsson's Packet Core and Radio solutions. Tests took place within 5TONIC project, the 5G research and innovation open lab of which Ericsson is an active member, founded by Telefónica and IMDEA Networks. 5TONIC Open Lab is an open place where companies and individuals test ideas with different IoT networks, according to their needs; prove concepts, experiment and build initial prototypes that can lead to a commercial offering. This Open Lab would be the first environment providing both NB-IOT and CAT-M1 (LTE-M). company, for a total of Euro 1,275 million, or Euro 12.75 per share. Under the agreement, which is subject to regulatory approvals, Telefónica and KKR plan to partner to develop and expand the global telecom infrastructure operation, including through the development of new infrastructure projects. Telefónica's infrastructure arm Telxius, established in February 2016, owns and operates a portfolio comprising nearly 16,000 telecom towers in five countries and manages an international network with around 65,000 km of submarine optical cable, including around 31,000 km owned by Telxius. The Telxius-owned network includes SAM-1 linking the U.S., Central and South America, PCCS (Pacific Caribbean Cable System) and Unisur, which connects Uruguay and Argentina. In addition, it is currently deploying BRUSA, linking Brazil, Puerto Rico and the U.S., and MAREA linking the U.S. and Europe in partnership with Google and Facebook, with both cable systems due to be operational in 2018. On completion of the proposed deal, Telefonica will remain the anchor client for Telxius' tower and cable businesses, and will retain a majority stake and operational control of the business and continue to consolidate it into its accounts. The sale is part of Telefonica's strategy designed to optimise its asset portfolio and allocation of capital, and complements its plan for organic debt reductions. Telefónica noted that the proposed agreement with KKR implies an enterprise value of Euro 3,678 million for Telxius, or 11.4 times its 2017 EBITDA, and confirms the valuation indicated for Telxius in the offering memorandum for its attempted initial public offering as announced in September, but subsequently withdrawn in November. At that time, the indicative price range for the same stake was between Euro 12 and 15 per share. The proposed transaction with KKR values Telxius's equity at Euro 3,188 million (Euro 12.75 a share). The agreement includes the initial acquisition by KKR of 62 million of shares (24.8% of the total shares) of Telxius for a total of Euro 790 million, with the option to acquire and sell an additional 38 million shares (15.2% of the total shares) for a minimum of Euro 485 million. Such options are related to a call option, exercisable by KKR and a put option, exercisable by Telefónica upon maturity of the call option. Telefónica stated that the closing of the transaction is subject to regulatory approvals and that the window to exercise these options is in the fourth quarter of 2017, provided the required regulatory approvals have been received. Telefónica has selected Huawei for building a large scale virtual Evolved Packet Core (vEPC) covering eleven countries in Latin America: Brazil, Argentina, Uruguay, México, Colombia, Peru, Panama, Costa Rica, Nicaragua, El Salvador and Guatemala; and two in Europe: Germany and Spain. Huawei’s vEPC solution, named CloudEPC, enables carriers to build agile networks that quickly scale to match the performance demands of new services, reduce production costs, support faster service rollout, and dynamically allocate virtual resources while providing carrier-grade availability, security and reliability and enabling seamless integration with Telefónica's legacy networks. The vEPC allows serving diverse use cases that include traditional customer-centric services, IoT/M2M, MVNO, private LTE, and Mobile-Edge Computing. Huawei vEPC maintains the same features as its existing physical version, SingleEPC, inheriting the long-term experience and the advantages of its leadership in communications technology. Telefónica said it has been working with Huawei on testing CloudEPC performance in its NFV Reference Lab in Madrid. During the test, Huawei CloudEPC showed one of the best performances in both data and signaling planes by good cloud-formation architecture and by using EPA (Enhanced Platform Awareness) technologies. That achievement was a joint effort by both companies within the Telefónica NFV Reference Lab framework. Telefónica and Huawei are currently testing the onboarding of the CloudEPC solution over Telefónica´s UNICA infra cloud platform that will allow full automatization of the vEPC deployments and life cycle management within Telefónica networks. Telefónica, in partnership with ZTE, completed a live test of a massive multiple-input multiple-output (MIMO) base station in Madrid, Spain. The pre-5G base station exceeded expectations, improving both network capacity and cell-edge data rate up to 6 times compared to traditional LTE macro base stations and reducing end-user interference through 3D-beamforming technology. This is Telefónica's first pre-5G Massive MIMO trial in Europe. 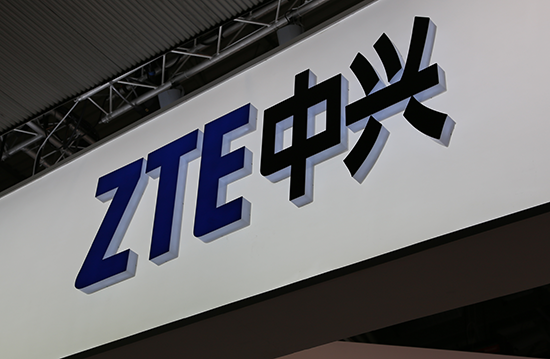 ZTE said it has been working with Telefónica since October on a Pre-5G Massive MIMO programme in the Telefónica Headquarters in Madrid to assess its performance in hotspot and indoor coverage scenarios. Huawei Spain and Orange reported download speeds of 1.5 Gbps on a 4.5G network, during tests in Valencia. Huawei deployed a LTE solution based on the 3GPP LTE Advanced Pro standard. The average speed obtained was 1.54 Gbps. 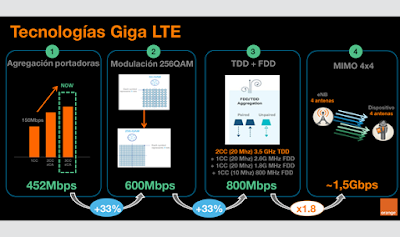 Carrier aggregation up to 5 frequencies of 800, 1800, 2600 and 3500 MHz. Simultaneous use of FDD (Frequency Division Duplex) and TDD (Duplexing Time Division). MIMO (Multiple Input, Multiple Output) 4x4 (4 transmission paths, 4 reception). 256QAM modulation, which allows for the sending of more bits in the same radio spectrum. Vodafone Spain has completed the world's first commercial implementation of dual-band High-Speed Downlink Packet Access (DB-HSDPA) technology using technology from Huawei. The solution delivers approximately double the amount of UMTS throughput compared to single carrier on UMTS 900MHz. DB-HSDPA is a 3GPP release 9-defined technology. From the second half of 2015, chipsets that support DB-HSDPA technology have been incorporated into commercial devices. DB-HSDPA capable terminals are able to receive and monitor two bands simultaneously, delivering a better user experience. On the Vodafone Spain network, there is a single carrier on UMTS 900MHz. The companies noted that UMTS 900MHz can absorb a larger number of subscribers than UMTS 2100MHz. strategy. "Huawei and Vodafone have cooperated closely to ensure the successful commercial deployment of DB-HSDPA. We will endeavor to assure the provision of innovative solutions, and accelerate the pace and scale of DB-HSDPA's commercial application to benefit more subscribers," said Peng Honghua, president of Huawei's UMTS Product Line. The successful commercial deployment of DB-HSDPA demonstrates Huawei's ongoing commitment for the supply of innovative techniques in wireless networks to help build the best experience-oriented MBB networks. In addition, Huawei's patented UX2 interface solution will ensure the application of DB-HSDPA not only at intra-NodeB level, but also among different NodeBs. Ericsson agreed to acquire Abentel, a subsidiary of Abengoa that specializes in end-to-end fiber installation and management. The deal includes the transfer of Abentel's assets, projects and employees to Ericsson. Financial terms were not disclosed. Abentel has approximately 500 employees who provide fiber network roll-out and maintenance services. Telefónica has deployed Nokia's Centralized RAN and small cells technologies at Valencia's Mestalla Stadium to better handle the flood of mobile traffic from over 50,000 football fans. 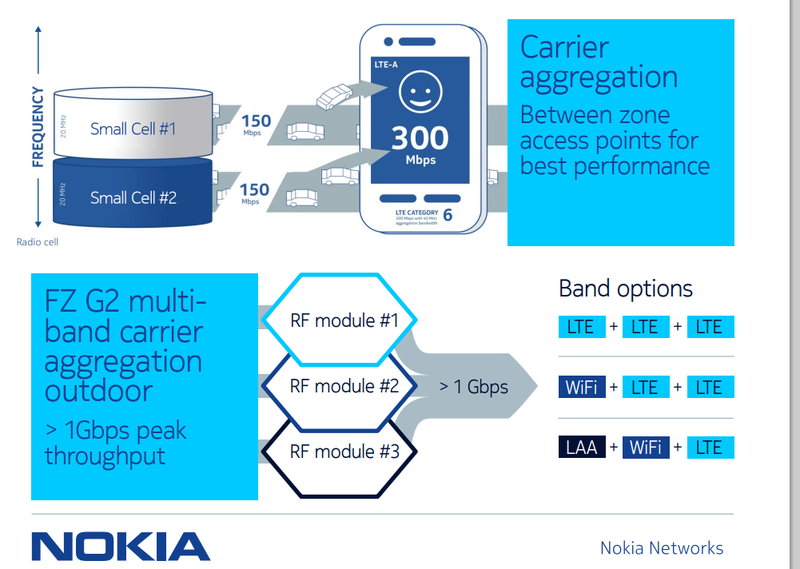 Nokia's Centralized RAN technology is built on the company's Flexi Multiradio 10 Base Station and runs on operators' existing LTE networks with no additional network elements needed. "Telefónica remains committed to building a cutting-edge network infrastructure in Spain, using innovative solutions that offer outstanding service quality in spite of exceptional circumstances. With Nokia, we will improve mobile broadband performance at Mestalla Stadium so our customers can share content easier," stated Joaquín Mata, Network Technology and Operations Director at Telefónica Spain. César Alierta announced his intention to step down as Executive Chairman of Telefónica. He will remain on the company's Board. Alierta is recommending that Telefónica’s Board of Directors consider the appointment of José María Álvarez-Pallete as its new Executive Chairman. Álvarez-Pallete has serves as Chief Operating Officer for the past 3 years. Previously, he was Telefónica’s CFO and has served as Executive Chairman of Telefónica Internacional and as Chairman of Telefónica Latinoamérica. César Alierta has served as CEO and Chairman of Telefónica since 2000. 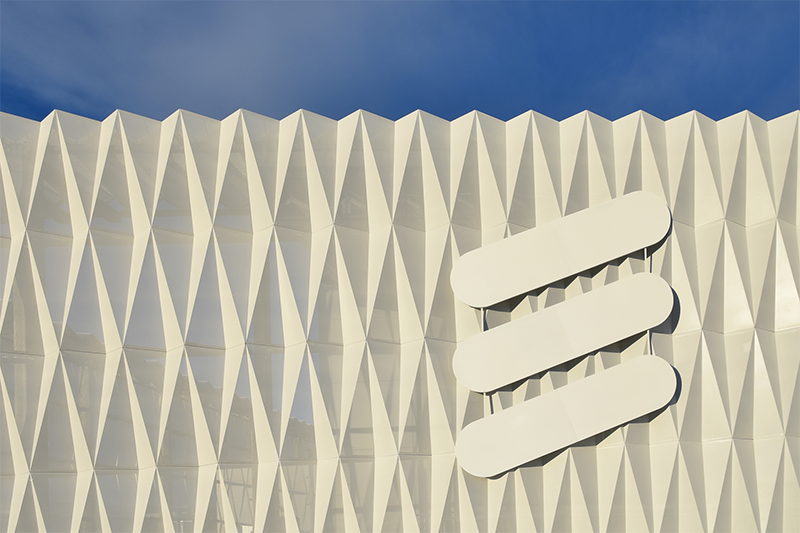 TeliaSonera confirmed that it is in discussions with Zegona Communications, which is listed on the London stock exchange, over a possible offer for TeliaSonera’s Spanish operations Yoigo. 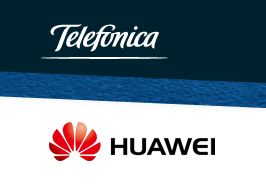 Telefónica Business Solutions, which offers a wide range of integrated communication solutions for the B2B market, announced a global collaboration agreement with Huawei to promote the migration of traditional IT services to the cloud. The agreement is aimed at helping enterprises to migrate their servers to the cloud, allowing them to use computing, storage and backup services in Telefónica’s data centers with no infrastructure investment required and on a pay per use basis. Huawei will deploy the Telefónica’s Open Cloud service based on OpenStack in eight Telefónica data centers. Telefónica will use Huawei’s knowledge and experience on its public cloud service in the Chinese market. The first countries where the service will be deployed are Brazil, Mexico and Chile during the first quarter of 2016 and in five additional locations later on also next year. Telefónica said the deal provides it with access to the latest technology levering on the economies of scale enabled by a global provider such as Huawei, which together with competitive pricing will enhance Telefónica’s value proposition in the cloud services market while making easier for enterprise customers to securely move their data to the cloud. The services offered include virtual servers, storage and physical servers, also known as "baremetal". "With this agreement Telefónica will be better positioned to serve the needs of thousands of enterprises that require an easily scalable platform in the cloud at a competitive cost and with full reliability and security. This is all possible thanks to Telefónica’s capabilities providing end-to-end service management including the network and data center. 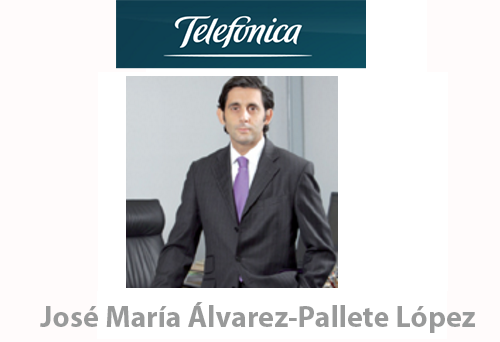 The smart combination and scale of Telefónica’s and Huawei’s capabilities reinforce both companies and furthermore represents the best guarantee for our customers" said Juan Carlos López-Vives, CEO Telefónica Business Solutions. “This global collaboration agreement represents a unique milestone in our long successful partnership with Telefónica, and will certainly have a big impact in promoting the migration of enterprises to the cloud and the digital world in all Telefónica footprint. Joint innovation capabilities, customer focus, global scale will allow us to sustainably bring cutting-edge solutions and differentiated offers to our enterprise clients” said Ryan Ding, Huawei’s Executive Director of the Board and President of Products & Solutions. Telefónica presented its new strategic plan for coming years under the slogan “We choose it all”. 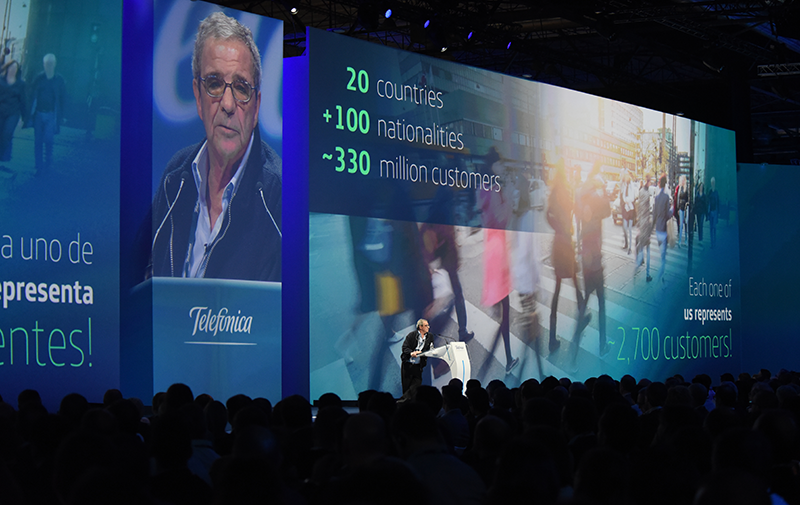 In a corporate event in Madrid, César Alierta, Executive Chairman of Telefónica, said his goal is to transform the company into an “Onlife Telco”, which he defines as "a company that promotes connections in life for people to choose a world of infinite possibilities." The event was streamed to the Group's 125,000 employees in 20 countries. “We are experiencing an true revolution... This is not just another revolution. It is already being shown to be the revolution that will have the greatest impact of all of human history in terms of generation of wealth. The social development it brings will be more than exponential. And we are lucky enough to be at the centre of this revolution. The future will be a better one because we find ahead of us an era of exponential change and growth. A whole new world of opportunities is open to everyone, in any location, to create a better world”, stated Alierta.